Adding vacuum workholding capabilities to the MPS is easy with this Vacuum Pallet Kit (VPK). 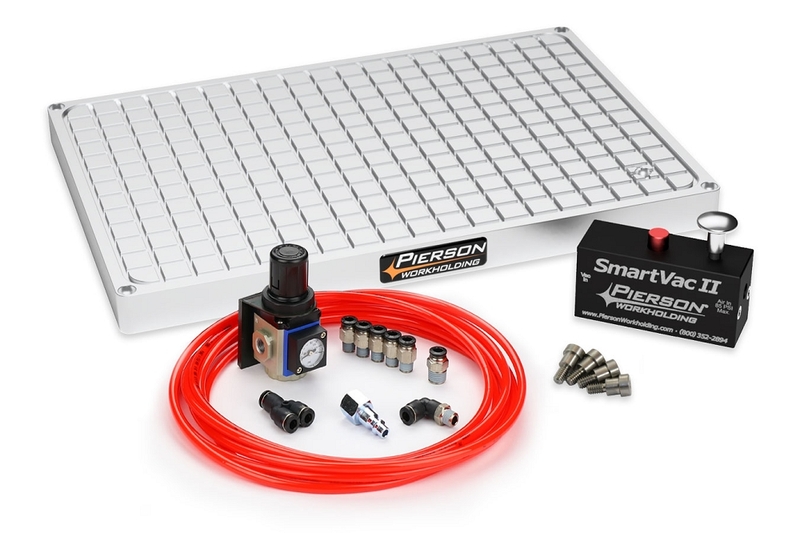 This kit includes our Vacuum Power Unit, Connection Kit, 25 feet of gasket and a 9.5" x 14" vacuum chuck which locks onto the MPS Base as easily as other pallets. The included shoulder bolts allow you to use Top Plates for customized vacuum patterns.